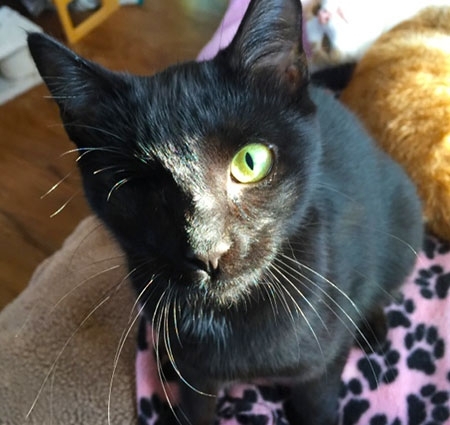 Lucy was at death's door at a local municipal shelter with 3 strikes against her: she was black, feral, and had a severely injured eye. 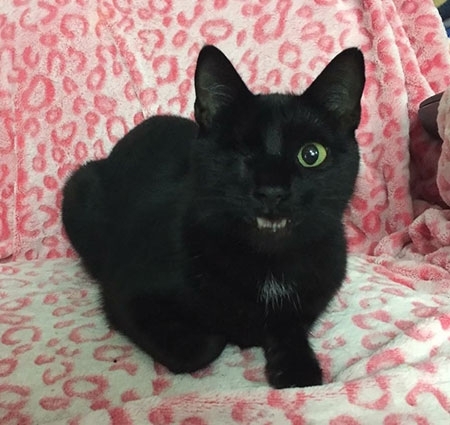 She was labeled as unadoptable. The shelter asked if we could take her so they wouldn't have to euthanize her. How could we say no? 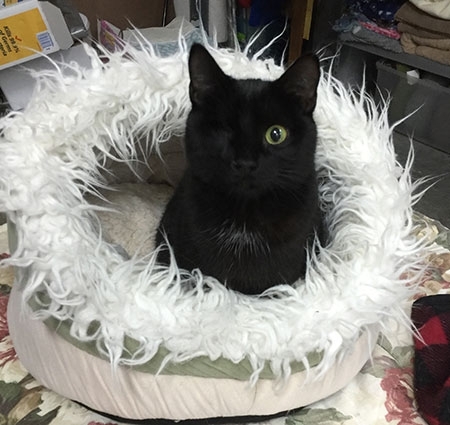 After the shelter removed her damaged eye, spayed and vaccinated her, she came to the Sanctuary. Her foster told us she seemed more scared than truly feral so we were hopeful she would calm down and be friendly. At the very least, we hoped she would become an adopted sister to Corky, who was her same age. It took all of two weeks for her to trust us. She now cries for attention and loves to be held and loved on. Corky thinks she makes a great pillow! They're often cuddled up, sleeping together in a sunny window sill. We are very happy to have saved her life and know she has a bright future filled with love. Thank you Genevieve Davis for sponsoring Lucy!! Want to be another Sponsor for Lucy? Our kitties can certainly use more than one Sponsor. Click here to become another Sponsor.